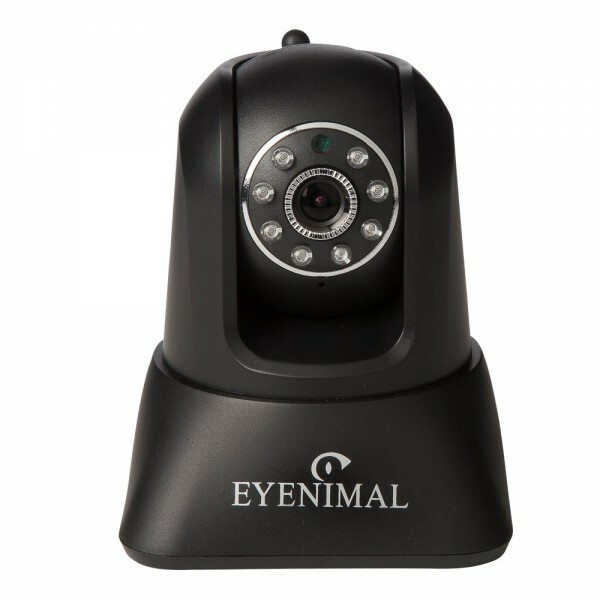 Rotation of 355 degrees (horizontal) and 90 degrees (vertical), the option motion detection, the 2-way audio function which enables masters to hear their pet and talk to them, the infrared night vision make Pet Vision Live a truly interactive system for unlimited monitoring of your pet and its environment. This technology is designed for masters concerned or curious about what their pets doing during their absence. It also identifies some annoying behaviors to be able to explain them to a specialist (veterinary behaviorist). Possibility of recording 5 minutes. Can connect up to 4 devices with a camera. Resolution 640 X 480 Pixels ( 300k Pixels ). Power supply: external power adapter 5VDC/2A.